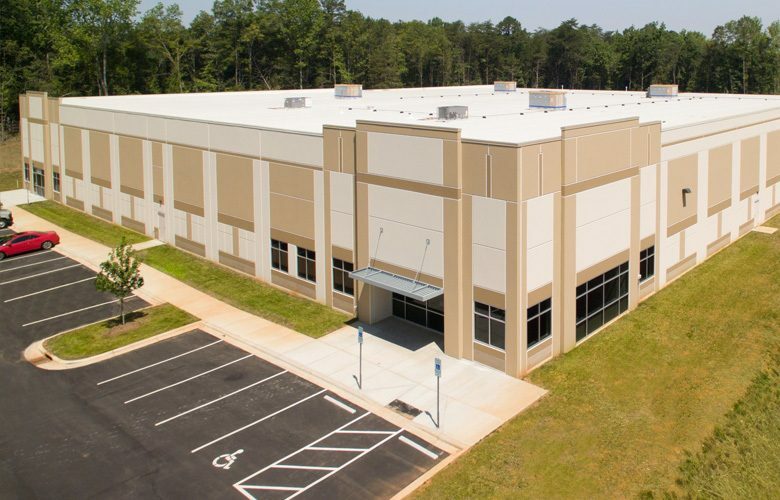 Beacon Partners Leases Carolina Place in Fort Mill, S.C.
Beacon Partners announced that it has leased a recently completed speculative office, manufacturing and logistics facility. The 50,400 square-foot space, called Carolina Place, is located one mile from I-77 in Fort Mill and six miles from the I-77 and I-485 intersection in Charlotte. “We’re very fortunate to have been able to put the last remaining undeveloped site off Carolina Place Boulevard into production and to have leased the building so quickly,” said Sean McDonnell, Director of Build to Suit Development for Beacon Partners. "Carolina Place serves as a great example of how partnerships work between the private and public sector. The end result brings jobs for the area, growth in our tax base, and good business partners into York County,” said David Swenson, Director of at York County Economic Development. “We were pleased to be able to partner with Beacon, the York Electric Cooperative, Inc. and Santee Cooper on this endeavor. This is a win-win situation for everyone involved." Catawba Enterprises, a freight forwarding company, was drawn to the facility and its 7.97 acres because it offered 24-feet clear height access, was ESFR-ready and had dock-high and drive-in loading. The project’s contractor was Choate Construction, the architect was Merriman Schmitt and McAdams was the civil engineer.